Presently, environmental education is not a priority for Education Department neither for schools. Schools consider environment related education as an additional burden, an additional subject and additional responsibility. Many teachers link environmental education as a science related subject. They don’t realize that it is a subject that can be taught in humanities, art and in so many other ways. The first step towards Green School was initiated in the year of 1991, by M C Mehta. Green School should not be treated as a different school but every school can be transformed into Green School. The Indian model of Green School has taken roots in many countries across the world based on various concepts including United Nation’s concept of DESD. 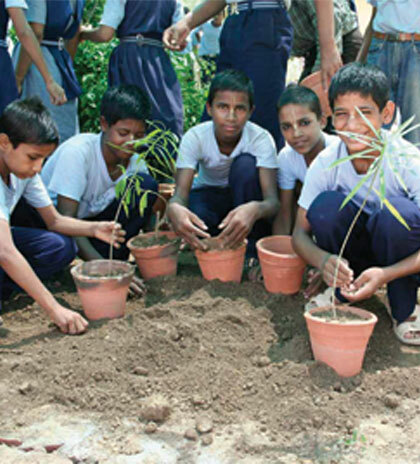 More than 3000 Schools including some schools from India are the members of Green School Alliance – a US based global association of Green Schools. Indian concept of whole Green Schooling is designed on the basis of Indian ethos “5 elements of nature (Panchabhutas)” – Prithvi (earth), Vayu (Air), Agni (energy), Jal (water), and Akash (sky). Green School prepares students to become leaders and citizens who understand how the natural world works, see the patterns that connect human activities with the mother nature, and serve as models of responsible action to protect mother nature from human intervention. Green School students learn sustainability from the school’s day to day teaching and learning practices. How to start a Green School? This is not a one-time phenomenon but demands on-going, continuous and synergistic efforts of all stakeholders towards improving the environment of the school and its surroundings. You can start transforming your school into Green School by initiating a Green School committee, Green School policy, green auditing, water harvesting, green energy, waste management, green teacher and green curriculum. 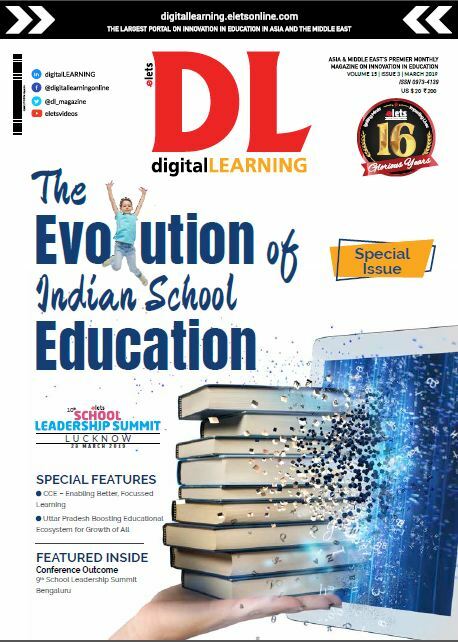 Entire existing NCERT curriculum can be transformed as green curriculum by the subject teachers under the Green School’s guidance including language, maths and science. Greening the curriculum refers to the infusion of environmental and sustainability perspectives into the school curriculum. The existing team of teachers can be transformed as green teachers by conducting in-house training programs. Some Universities have started offering green teachers diploma programs. In terms of strategies, we promote interdisciplinary instructional methods that are age-level appropriate; actively engage students in learning in and out of the classroom; involve them in long-term projects; and create an atmosphere of purposeful conversation and reflection learning about the nature. In addition to protecting students from environmental health and safety risks, it helps to save money and increase efficiency. The initiative helps save money through reduced consumption of resources and energy savings, increase efficiency of operations and use of resources, create favourable learning and teaching conditions, generate community goodwill, and educate the next generation on the value of caring for the environment apart from nurturing students for a greener and prosperous future.